The future of the US high-energy physics (HEP) programme depends on having both viable collaborations on the leading worldwide projects, especially the LHC, and developing, in parallel, important new forefront facilities in the US. 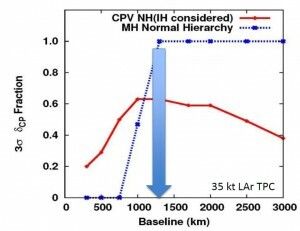 Fermilab and the US neutrino community are proposing to concentrate on the intensity frontier by developing next-generation long-baseline neutrino experiments (LBNE) that will be capable of addressing the hierarchy problem, CP violation in the neutrino sector and other forefront physics. 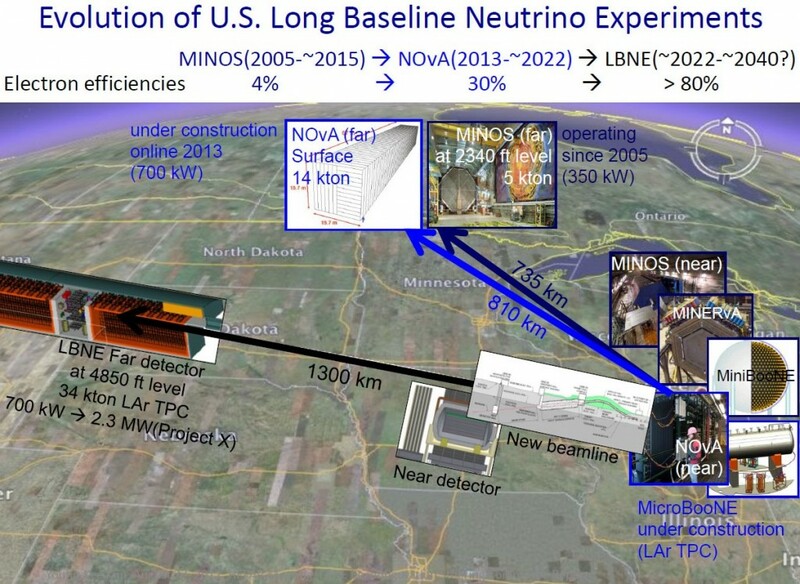 To accomplish these goals, Fermilab and the collaboration made a proposal to the Department of Energy (DOE) to build a new high-intensity neutrino beamline to the Homestake gold mine in South Dakota and developing an underground facility capable of housing a large-scale neutrino detector. Upon evaluating this proposal, the DOE determined that the projected HEP funding levels for the coming years would not be sufficient to accommodate the LBNE programme the way it was originally proposed. In a letter dated 19 March 2012, Bill Brinkman, Director of the DOE Office of Science, stated that the DOE “cannot support the LBNE project as presently configured,” and he went on to say that the peak costs “cannot be accommodated in the current budget climate or that projected for the next decade.” Brinkman concluded by inviting Fermilab “to lead the development of an affordable and phased approach that will enable important science results at each phase.” Separately, an additional guideline was transmitted by DOE that the costs of the first phase should be reduced to ~ $700-800 million. This stimulated a series of workshops and design studies, and as a result, several options for reconfiguring LBNE have emerged that satisfy the guidelines and have different strengths and weaknesses. Three options were presented to HEPAP by Young-Kee Kim, deputy director of Fermilab. One key question comes down to whether to use the existing NuMI beamline, saving the cost of a new beamline but limiting future physics reach, or whether to develop a new beamline to Homestake, reducing the resources to invest in an initial detector but preserving the long-term physics potential. 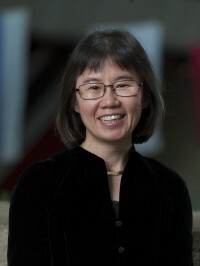 Young-Kee Kim concluded by stating that “while each phase-1 option is more sensitive than the others in some particular physics domain, the Steering Committee strongly favored the Homestake option (a new beamline and a 10-kiloton LAr-TPC detector on the surface).” She emphasised that this option has both significant physics potential and does not compromise the potential to reach the full goals of the original LBNE at a later time. She mentioned that the detector for the Homestake option could be put underground if an additional ~ $135M will be forthcoming through international collaboration. Miland Diwan, Brookhaven Laboratory, speaking on behalf of the LBNE collaboration, endorsed this approach and emphasized and stressed that it is very well matched to the ultimate long-term goal of observing CP violation for neutrinos. Jim Siegrist, DOE associate director for HEP, noted the reconfiguration plans for LBNE in his opening remarks, and said the goal is now to complete CD-1 approval this year. (CD-1 is the next DOE milestone toward an LBNE construction project). Both Diwan and Siegrist noted that international collaboration will be sought, in order to strengthen the effort, by enabling the neutrino detector to be mounted underground, and/or in addition, could make it possible to add a forward detector in the initial phase. The coming year will be critical in determining the priorities of the worldwide high energy physics programme for the next decade. The LHC discovery of a Higgs-like particle, an updated strategic plan for European high energy physics, a new roadmap for KEK, Super B-factory projects underway in Japan and Italy, new projects like LBNE being developed, and upgrades to LHC are all being considered. There is indeed a rich set of opportunities available for particle physics in the future. The missing piece for the future high-energy programme is a high-energy lepton collider to complement LHC in exploiting the energy frontier. We are completing the technical design of the ILC, new exciting results are emerging from LHC, a new linear collider organisation is being created, and there is beginning to be interest in hosting such a machine. The exciting LHC results on a Higgs-like particle at 125 GeV have stimulated discussion of staged approach to the ILC, beginning with a Higgs factory at an early date and then increasing the energy to fully exploit the TeV energy scale. Barry Barish is Linde Professor, Emeritus at the California Institute of Technology Caltech. From 2005 to 2013 he was Director of the Global Design Effort and, apart from leading the collaboration to the publication of the ILC's Technical Design Report, wrote more than 300 Director's Corners.